Although the month is coming to a close, happy November! Everyone here at Chastain Otis hopes that your Thanksgiving weekend was well spent, whether that’s with family or friends, watching football, or going shopping. Regardless of how your weekend was spent, we hope you look back and are grateful. 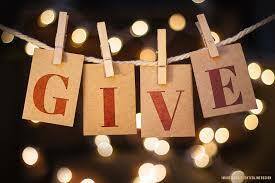 Many are not as fortunate and tis’ the season for giving! Chastain Otis likes to believe that all year round is for giving, and we try to stay active when it comes back to the community. Our community is what keeps us doing what we love to do—helping others find the best insurance coverage at the lowest prices. In the last year, we have contributed to our community in a number of ways. Company-wide donations to United Way. We have run an annual campaign with United Way for over 20 years. Many of our employees give to United Way through payroll deduction. Donated time to stock Heartland Hope Mission’s pantry. We closed early and all employees went to help stock their pantry for an afternoon. Had a team “Race for the Cure.” Money from each member that enrolled went to The Susan G. Komen nonprofit that invests in breakthrough research to prevent and cure breast cancer. In total, we raised over $6,500 in the last year for organizations we, as an agency, supported. We at Chastain Otis will continue to support our community. We appreciate our steadily growing staff of professionals who are committed to integrity, value, and extraordinary customer service. Without them, none of this would be possible. We also appreciate you, and your continuous support of our company. If you have any questions about Chastain Otis, insurance, or have a potential cause you’d like us to consider donating to, please contact us today.